Now, you can protect your wall with the best single-component, water based, fluid applied products available. STS Coatings newest product, Wall Guardian® FW-100-A is an AIR and WATER BARRIER, VAPOR RETARDER (breathable) product that can be sprayed or rolled onto the wall surface. 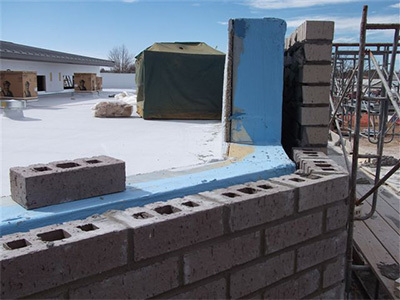 This product is designed to use in cavity wall constructions, such as, steel stud construction, insulated (extruded polystyrene), CMU/ Brick veneer cavity wall construction and Insulated tilt-up construction. This product can be used for both commercial or residential construction.